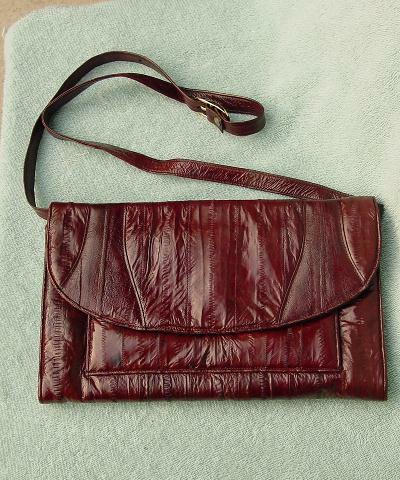 This vintage very soft dark burgundy eelskin purse has a 35 1/2" eelskin shoulder strap. It has an envelope-style flap closure with a magnetic snap. 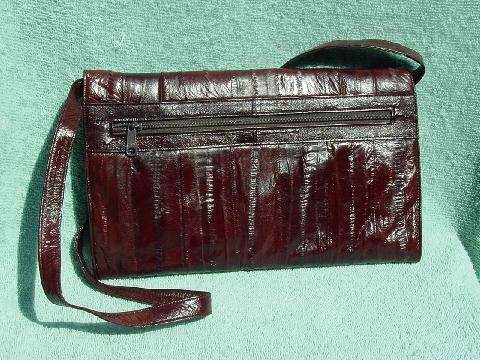 There is a full zippered compartment on the backside and a small open compartment under the flap, as well as a smaller interior zippered section inside the main interior section. All the front compartments are lined in a brown vinyl. It came from a South American model.